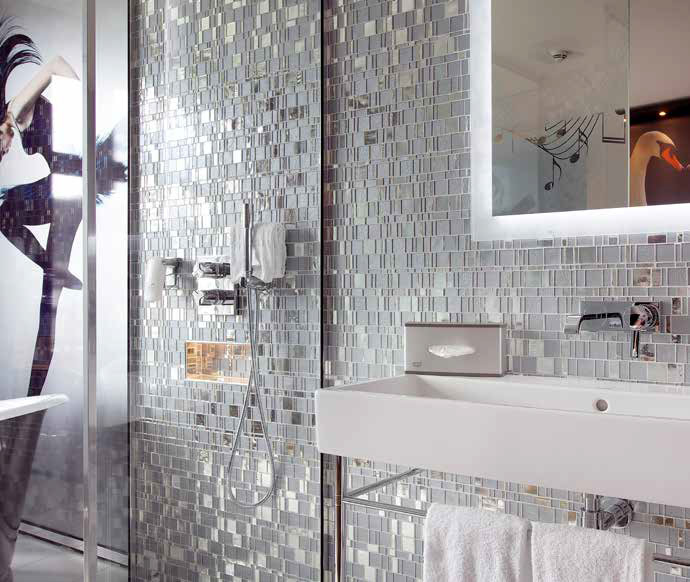 At Concept, we envision and help to create a range of different styles and designs for quality bathrooms, across luxury developments and private client projects. 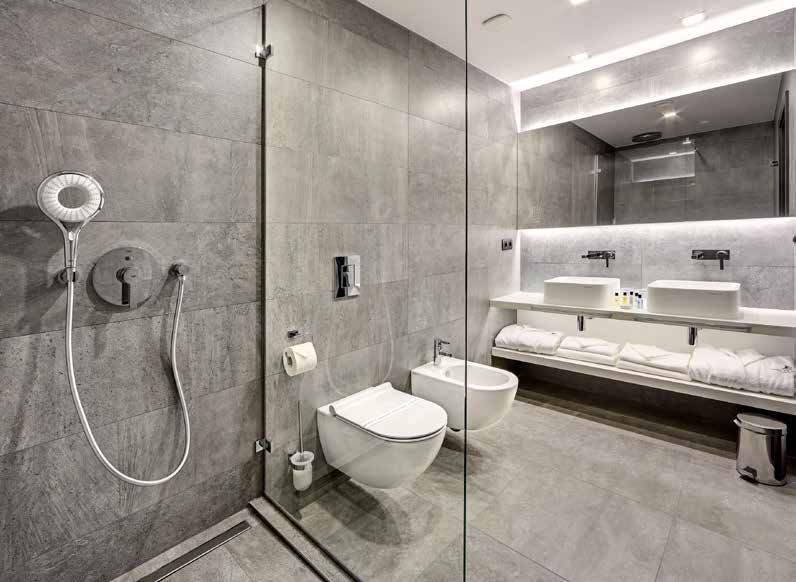 An ever-increasing design request from clients is to bring the feeling of a boutique hotel bathroom into their own private space. These bathrooms exude luxury, peace and tranquility while still providing a contemporary feel and makes you feel like every day is a getaway in your luxury bathroom. Using decadent, bright, accent tiles can bring a flood of light into what can often be a dark space and can add a unique cutting edge to your bathroom or en suite. By having your bathroom seamlessly flow into your bedroom like many boutique hotels, you can lessen the often claustrophobic feel of a smaller bathroom and instead have a peaceful open space that brings a timeless finish to any luxury development or private client project. 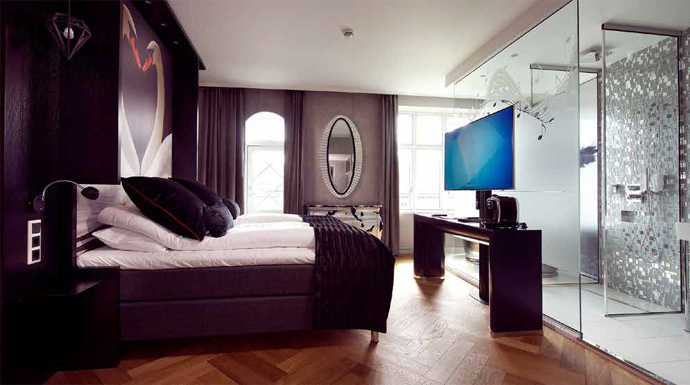 In many boutique hotels, blasted glass is used to provide a level of privacy in an open concept area or for total privacy the simple addition of fabric can help blend you boutique styled bathroom into your bedroom. Either option still allows for the uninterrupted flow that is created by the boutique bathroom design styling. At Concept Virtual Design, we keep up to date with the most current styles and trends for luxury developments, refurbishment projects or private client new builds, ensuring that your project is completed to the highest finish possible. Our in-house design team are available for consultations by appointment and are often consulted at the start of an architectural design or building process to ensure that the space created is optimised from the beginning ensuring the most luxurious space possible. To find out more about how our in-house design team can help enhance your project, please contact us and arrange to visit our specialist bathroom and tiles studio. This entry was posted in Luxury Bathrooms and tagged Ascot bathroom design, berkshire bathroom design, Boutique Hotel Bathroom Design, Boutique Hotel Bathroom Look, Boutique Look, Caversham Bathroom Design, Cookham Bathroom Design, GROHE bathroom design, Henley bathroom design, Hotel Bathroom Design, Hotel Bathroom Look, luxury bathroom design, luxury bathrooms, Maidenhead bathroom design, Marlow bathroom design, Wargrave Bathroom Design, Winkfield Bathroom Design. Bookmark the permalink.